This post is written by Dr Victoria Goodyear. 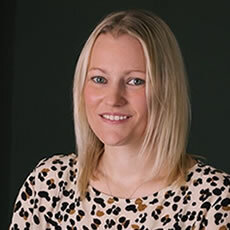 Victoria Goodyear is a Lecturer in Pedagogy of Sport, Physical Activity and Health in the School of Sport, Exercise and Rehabilitation Sciences, University of Birmingham UK. Victoria's research focuses on understanding and enhancing young people's health and wellbeing through research on pedagogy. Her recent work has focused on pedagogy in the context of digital technologies, and how young people's engagement with social media, apps, and/or wearable devices shapes health-related knowledge and behaviours. Victoria can be found on Twitter. An example of her research can be found here. 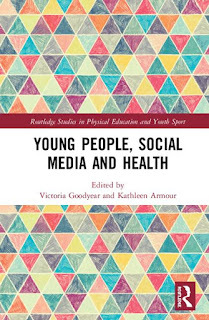 Here Victoria presents her new book Young People, Social Media and Health. Young People, Social Media and Health adopts a novel approach to understanding, explaining and communicating young people's experiences of health-related social media, and the impacts young people report on their health, wellbeing, and levels of physical activity. In Section One, a series of data-rich narrative case studies are presented, that were constructed from participatory research with over 1300 young people and 35 international multi-sector and multi-disciplinary stakeholder and academic networks. In Section Two the book draws on a range of different disciplinary perspectives (e.g. psychology and eating disorders, pedagogy and media and cultural studies, education and the school curriculum and models of health literacy) to better understand the complex and dynamic ways in which health-related social media can influence young people. In Section Three, the information from previous sections is crystallised into evidence-based actions and guidelines that can help relevant adults to mitigate against risks while simultaneously maximising the positive and powerful potential of engagement with digital health-related media. The book Young People, Social Hedia and Health provides clear evidence of the ways in which young people both engage with and generate health-related knowledge, understanding and behaviours, and the need for relevant adults to become more digitally literate. In contrast to existing evidence, the book provides evidence that most young people are critically aware users and generators of health-related social media, and experience a range of positive benefits. Yet, the case studies highlight that young people's social and emotional needs change rapidly, and negative impacts escalate quickly due to the power of the digital medium. The book identifies that a key action for adults is to become more digitally literate. Digitally literate adults would be better placed to promote positive outcomes, harness the educative potential of social media, and offer support at times of vulnerability. 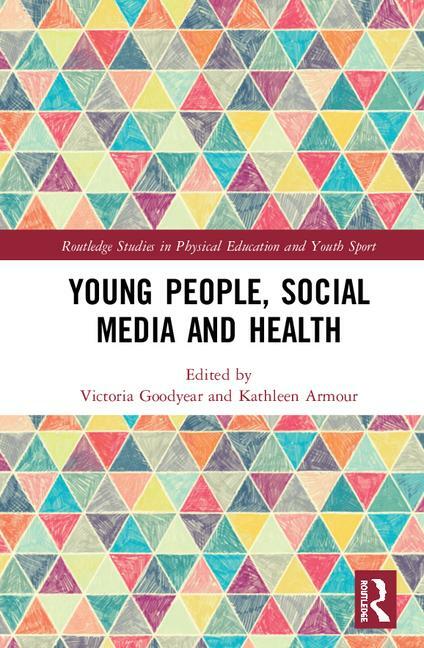 The book Young People, Social Media and Health offers new theoretical insights and practical guidelines and resources for educators, practitioners, parents/guardians and policy makers. The book draws on a range of theories, and in particular, advances understandings of pedagogy. Participatory methods for engaging with young people's very specific levels of expertise are also presented, and the data shows how the new participatory methods generated rich, in-depth and detailed insights into young people's social media 'worlds'. To facilitate impact, the underpinning research for the book involved collaboration with young people and key stakeholders throughout. Young people and the key stakeholders also collaborated to produce digital animated case study videos of young people' s experiences, and these are also accessible in the book. We hope that you enjoy reading.